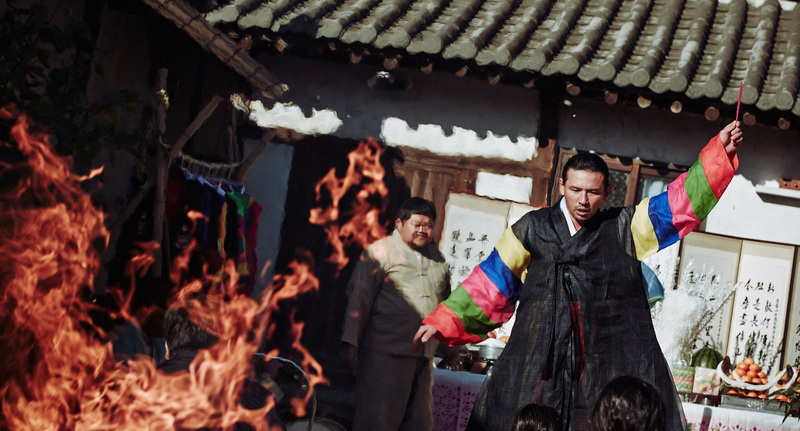 The Wailing, writer-director Na Hong-jin’s latest, is a ghost story on the surface but its essence is about human foibles, family and faith. 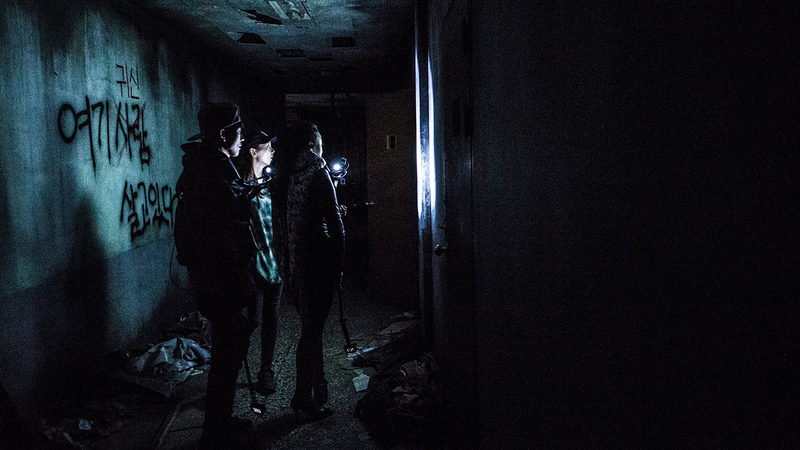 Set in the remote mountain village of Gokseong, a local policeman is faced with a mysterious epidemic of possessions that result in mass killings. The crime scenes are a bloody mess with the perpetrators found in a stupor and their families very much dead. The common denominator with these events, apart from the grisly outcome, is that all the killers are found in an incoherent trance and are covered with a nasty skin rash and boils. Not believing the official line that poisonous mushrooms are the cause, he starts to sniff around and dig deeper. Small town rumors dismiss the poisonous mushroom theory, pointing blame toward the old Japanese man who lives in the woods. Rumour has it the stranger is not alive either but that he is a ghost. This, on the surface, presents our policeman with a preposterous theory but within the context of recent happenings, maybe, just maybe, this theory has legs. Thus begins his journey and the director’s exploration of what and who do you, or can you, believe? This portrayal of the foibles of just being human, the daily indecision that we face every day is such a strength in Na’s direction. Our policeman is an everyday man, perhaps bordering on the verge of a bit simple and possibly foolish but the dilemmas he faces and the choices he has to make are so instantly recognisable and relatable. The context for him may be different and is certainly more intense but this is a family man and his main motivation is the love for his daughter. And it’s when she comes down with the rash and boils that his unofficial investigation ups its ante. Now he is really driven, the clock is ticking and this time bomb will go off with more than a bang. The casting for The Wailing is inspired. Kim Hwan-hee who plays the daughter, does so with the chilling precision of a veteran not as the 14 year old she is. The transition from cutesy, loveable daddy’s girl to something, let us say, otherworldly is stunning. We’re not talking Exorcist Reagan here, cause that’s not the story, but the level of performance is just quite perfect and she fits in beautifully with the rest of the adult cast. 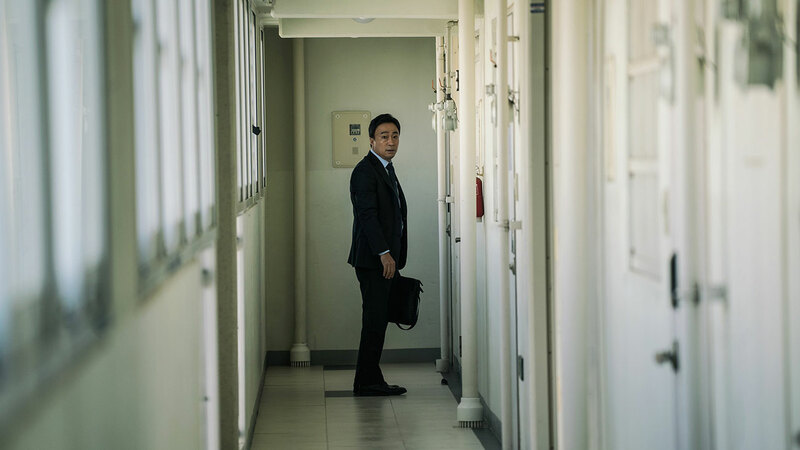 Kwak Do-won is very accomplished in his role as the policeman and father. It’s not such a likable character but to show the vulnerability and the indecision in such a believable way is always a good sign of a fine actor. He borders on the hammy in his country bumpkin simplicity but pulls it off. 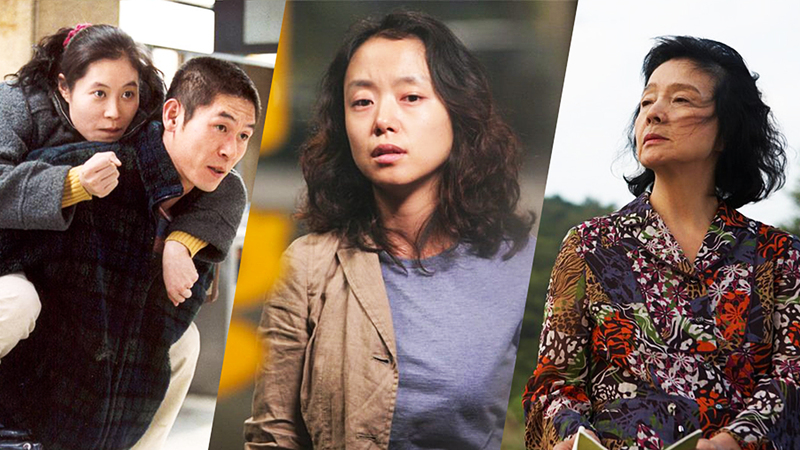 However the two brilliant actors Chun Woo-hee and Hwang Jung-min overshadow his role. Both their characters are compelling and they play them to perfection. 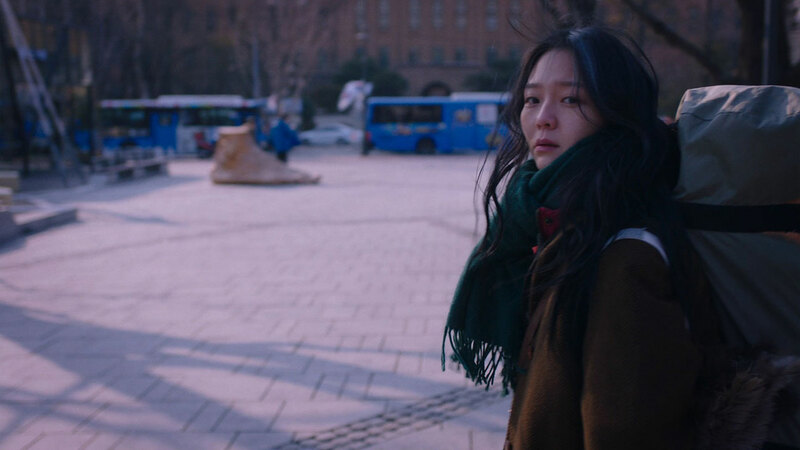 Chun Woo-hee first gained widespread public attention for her role in the high school indie hit Han Gong-Ju (see our review of that film). That was a stunning performance and although in The Wailing her role is a smaller, she still delivers with the same amazing brilliance. She plays the enigmatic “Lady in White” and delivers some of her best lines without saying a word. Who this lady is and where she fits into this macabre mystery is taken right up to the wire and remains up for debate after the final credits. Na’s storytelling prowess enables these twists and turns and keeps the audience guessing right through the film and beyond, but it is also the strength of the acting that can deliver without giving anything away. Another character that sparks much debate after the film ends is the role of the Shaman. Called in by the daughter’s grandmother when she becomes afflicted by the rash and boils, he immediately detects the presence of a very strong, evil spirit and sets about performing the required rituals to exorcise the demon. The Shaman is played by Hwang Jung-min, who was in Ode to my Father and Veteran recently but has a body of work spanning three decades. His portrayal of the Shaman and the scenes of the rituals are some of the strongest aspects of the film. However, it is the question as to whom he is serving and what he will do next that keeps the audience continually guessing and very much on the edge of their seat. Probably the weakest moment of this film is a scene where we descend into what can only be described as a nod to the zombie genre. Complete with garden tools embedded into the head and relentless rebounds and attacks, biting and blood, it is an accomplished homage but it fits into the big picture like a pimple on a bum and when one learns of some of the deleted scenes and their contents, the wonder is why and how this one made the final cut. It just doesn’t fit or serve the film in any way bar from getting our policeman and his mates back into the woods up on the mountains in order to confront the Japanese man one final time. In fact the zombie that attacks them is one of the more confusing aspects of the plot but it is born out of probably the most intense scene of the film. The exorcism scene is a highlight of intensity and is so beautifully intercut three ways with what appears to be a counter ritual and a reanimation. The wailing of the Shaman, the beating of the drums, the muttering of incantations and the rumblings of the dead reawakening are so masterfully cut in parallel. A fourth element to the scene — like the cherry on top — is the daughter’s screaming resistance and the father’s fear and indecision. It feels like exhausting physical cinema and puts the direction of Na Hong-jin into a very special category. In amongst all the blood, murder, mystery and intrigue of The Wailing is a tale of faith. There is the faith of the church told by a local catholic novice who farcically, though with the best of intentions, confronts the demon towards the end. There is the faith of the pagan and thanks to the Shaman this will also be rocked to the core. There is the faith of family, the faith of love and lastly the faith in one’s heart. All of these are examined and some of the messages are not so pretty. Though not a perfect film by any accounts, maybe the Koreans think the same as the Japanese in that an imperfection only strengthens the perfection of the form of an object. A little bit of wabi-sabi, perhaps? 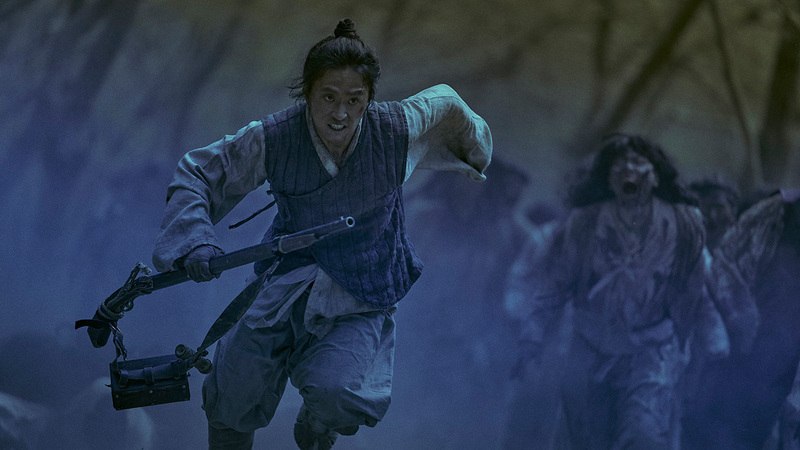 Regardless, the acting, the settings, the mood and the twists and turns of the plot are at a level where the two hours plus of The Wailing make for a compelling and rewarding cinematic experience. Just be prepared for a good post film discussion, debate or argument a la Donnie Darko.